Awesome ;) Thanks for sharing! CD3 is horrific. However playing 1 and 2 again is something I'll throughly enjoy. Free dlc is always good. Thanks for the hearts up. Heat! Just bought far too many of these. I haven’t had a console for 12 years and got an Xbox One X 2 weeks ago. With this Easter sale and other digital cheap titles. it feels like I’ve rebuilt my entire gaming library going back 30yrs. Super impressed at the Bargains you get on the store. Which command and conquer is the best to play? Lol clocked it on hardest level it was painfull who has clocked it?? Nice! Tempted to get this, but as there's a remastered version on Xbox One think I'll keep an eye out for that version to drop in price again so thanks for the info. Heat added. Glitchy saves be careful. I lost a lot of progress by not having back up saves. Just FYI. A known bug. Cheers bud. Purchased it online anyway. Hopefully should download to my xbox one when I switch it back on.. It's an Xbox 360 game that is backwards compatible with Xbox One, so both. If you're buy it on Xbox One, the "Buy" button changes to "Install" after you have purchased it, then it just installs like any other game. Do they have a thick young thug edition? As I fear the Scholarship Edition might be too difficult for me. Hmm, was going to buy but don't want to ruin my memories of playing it after reading the comments. Horribly outdated game. I wasted my money so you don’t have to. Never miss a 'Xbox 360' deal again! It is listed under D (Disney Bolt). Not BC unfortunately. Shame because this seems like a good co-op game with family. Disney's Bolt and Split/Second (both on sale) are compatible though. I managed to get Metal gear Solid HD Collection for £1.99! The game is still £15-20 everywhere which I why I haven't bought it. But I'm currently reliving MGS3 in HD glory on the xbox one x! - Thanks OP. Rejoice! So Ghost Recon 2 is now BC with Xbox One and this legacy edition of it is a steal! £0.50 in store @ CEX or add £1.50 for postage. Thought the servers got shut down years ago?? Is this dead online ? I don't see the price of this increasing seeing as it's "free" in a couple of weeks. This game is painful... you have been warned. When IGN were in their prime! I've checked this and the official statement is "Microsoft allows a grace period. Depending on what you read could be 30–60 days in case you wanted to renew or there is a problem with your payment method. Be advised that if you do renew, you will be back charged for the grace period" Xbox live gold is needed for any online play. Period. Mine ran out three weeks ago and yet I'm still able to play online and host and join parties. Looking on the back of the Division 2 nowhere does it say that Gold is required to play online. I got in touch with them yesterday to ask about the codes as they weren't working on their site, they were coming up as 'not valid'. I got this response: Hi, Thanks for contacting cdkeys.com. We apologize for the inconvenience. The Facebook discount code is temporarily not working. We'll keep you posted when it's back up. Seconding this. I bought this game, was super excited to play the undead nightmare DLC. But it's broken beyond playing and I ended up giving up. There are several other issues as well. Great shame! Is that not regular price on argos ? This was an awesome game! Glad i kept my copy of the game! 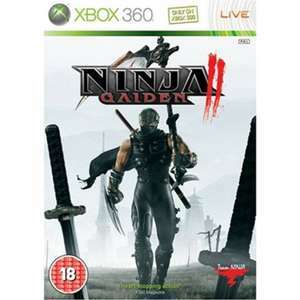 Worth checking your local cash generator I just picked it up for 99p I hate it when CEX raise the prices of BC games. 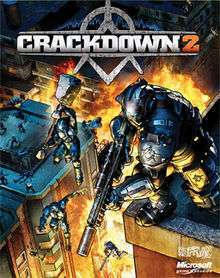 This was the first game to teach me Gearbox are and Unisoft are great bullsh*t artists. I always remember seeing the first reveal of this and thinking it looked amazing....basically a more tactical ww2 game that looked like something out of saving private Ryan. The visuals and cinematic presentation blew me away. Of course it was all lies. What they masqueraded as gameplay didn't actually exist. Something that Unisoft and gearbox would continue in effort to push other future games. Real shame. What was offered was pretty hollow. And ultimately forgettable. I personally really loved this game. If I stop had an Xbox I would gladly play it again for 50p. I’m not sure what you’re point is (personally I was comparing digital to digital), but let’s do some quick maths: Forza Horizon 4 - £32 @ CEX Crackdown 3 - £32 @ CEX Just Cause 4 - £25 @ CEX Shadow of the Tomb Raider - £18 @ CEX Trading those games back at the current rate, for vouchers, you lose circa £40, not to mention; - the voucher rate is only going to decrease - the hassle of going back and forth to CEX - the multitude of other games on Game Pass, that are being added to on a monthly basis So if you’re suggesting it’s more logical to use CEX than Game Pass... The future of gaming is in streaming. Look at Stadia, for example. Even the idea of owning a console/PC is becoming a thing of the past, never mind faffing around with second-hand games. The Xbox 360 is a home console with a vast library of titles stretching back over a decade, and plenty of accessories to enhance the gaming experience. It can also be used to play DVDs or CDs, and access various entertainment apps, like Netflix, BBC iPlayer and 8Tracks Radio. Microsoft produced a number of different versions of the 360, as improvements were made to its appearance and hardware over time. The Xbox 360 was developed to succeed Microsoft’s previous Xbox console, it was launched in direct competition with other seventh-generation devices, like the Nintendo Wii and the PlayStation 3. The first version was presented to the world on May 12th 2005 on the MTV channel and became an instant success, with players enjoying new features like achievement awards and online gaming. Over time, subsequent models with larger storage capacities, different finishes, and upgraded hard drives were released. The Xbox 360 is available in five standard versions, none of which are still in production. Here is a list of those. Xbox 360 Core: Later replaced by the Arcade, the Xbox 360 core was released in late 2005. It is a basic version of the console that came with a wired controller and a video cable that only offered Standard Definition. To achieve a HD resolution, users had to buy a separate D terminal cable but support for this feature was later provided in an update. The Core has no hard drive so to save games you would need a memory card. Xbox 360 Pro or Premium: Released in late 2005, and often sold with the tag line "Go Pro", this version of the 360 came with either a 20GB or a 60GB detachable hard disk. Therefore, it was possible to download demos and save in-game progress. The controller is wireless and there’s a component lead for the TV. It was compatible with the original Xbox games and came with a free Live Arcade title, Hexic HD. Over time more advanced Falcon motherboards were introduced, along with an HDMI output and the machines became far quieter. Xbox 360 Arcade: The Arcade was developed in 2007 to replace the Core, but is still quite a basic model. It comes with a wireless controller, an AV cable, HDMI output and a 256MB memory unit for game saves. A few Arcade titles came with the console on a disk, these were: Pac Man Championship Edition, Feeding Frenzy, Boom Boom Rocket, Luxor 2, and Uno. In 2009 the memory unit was replaced by a 512MB internal chip. Xbox 360 Elite and the Super Elite: Generally considered to be the premium 360, this model was released in 2007 and came in two versions. The Elite had a 120GB hard drive, a matte black exterior, and matching controller and headset. It was initially offered as a bundle with Kung Fu Panda or Lego Indiana Jones. Released in 2009, the Super Elite had a black or a white finish and came with a 250GB hard drive and two wireless controllers. Some versions were special editions which included branding from games like Call of Duty: Modern Warfare 3, others came with exclusive downloads, such as Xbox 360 avatars. Xbox S or Slim: First released in 2010, the Xbox S is often referred to as the Slim. It comes in matte black, glossy black, or glossy white and has completely redesigned hardware, making it a smaller, faster and quieter console. It comes with a 4GB, 250GB or 320GB hard drive, a wireless controller and a composite AV cable, so it can be connected to a range of other devices. 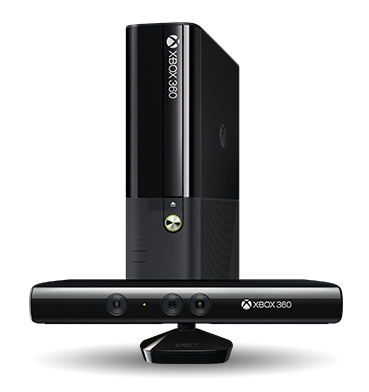 The following specifications relate to the latest 360 version, the Xbox 360 Slim. What Can an Xbox 360 Do? It may be the oldest console of its generation but the 360 is still a worthy machine that is fully supported by Microsoft and remains an excellent home entertainment system. 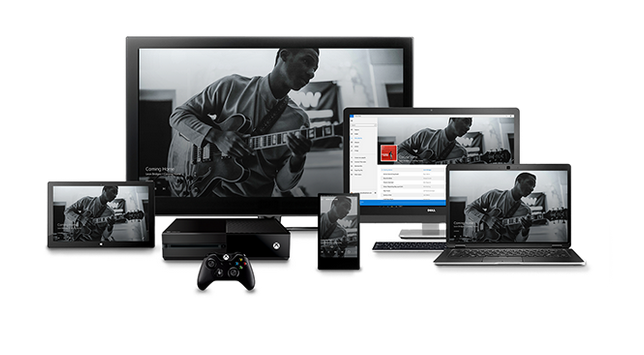 Once it’s connected up to a TV and a wireless network, you can use it to download and play games, check out the Microsoft Store, watch DVDs and listen to music. By paying a subscription, you gain access to Xbox Live Gold, an online gaming community managed by Microsoft that also supports Windows 10 for PC users and Windows Phones. You can visit game hubs to learn more about a title, see what people on your friends list are playing and speak to gamers from all over the world. Which Storage Capacity and Colour is Best? For watching DVDs and playing games, the 4GB version of the 360 will be perfectly adequate but if you plan on doing some serious gaming, on or offline, you’ll need extra storage space for saving game data and downloading content. Versions with added storage include the 250GB and the 500GB consoles, but these expanded hard drives cost more. If you’re unsure about what level of storage you’ll need, you can start with one of the smaller options, then upgrade further down the line by installing a larger hard drive. The Xbox 360 can be bought in matte black, glossy black, and glossy white. The right colour for you will be the one which goes best in your home and appeals to your personal taste. Many people prefer black because it blends with other electrics, like DVD players and TVs, and isn’t obtrusive. Other buyers go for the refreshing white colour as it’s a change from the norm, it also looks clean and dust or fingerprints don’t show that much on it. Although plenty of consumers will go straight for the newer Xbox One or the even newer Xbox One S console, some people may prefer the Xbox 360 for a number of reasons. Primarily, it has a huge library of games, some of whiceh will not be available on the newer version because they are not backwards compatible. Moreover, as it is an older console, games for the 360 are getting cheaper all the time and it’s very easy to build up a collection of titles fast. Finally, as a legacy console, the Xbox 360 is far cheaper than its successor but still delivers a stunning, immersive performance. 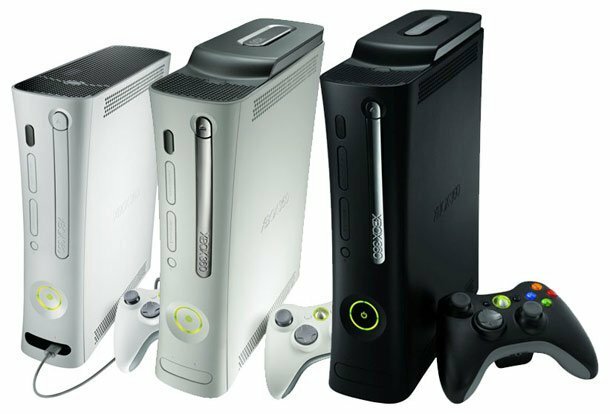 Before buying an Xbox 360, it’s worth considering whether the benefits of the console outweigh the fact that it is an older version. There’s no doubt that many people still own one, using it to play games, connect to Xbox Live Gold and watch DVDs. Plus, it’s still available from numerous retailers and continuing technical support is offered by Microsoft. However, the Xbox One is a smaller, more compact model that eclipses the 360 with a vastly improved level of performance and breath-taking visuals. If you want a solid console for gaming, online connectivity and streaming media, the 360 is a satisfactory choice. However, if you are prepared to invest substantially more money in a console and its games, the Xbox One may be a better option in the long run. How Does the Xbox 360 Compare to the PlayStation 3? These two consoles have been compared against each other since 2006, when the PS3 was first released. They are very much equal in terms of games selection, price and processing power, but in other areas there are more marked differences. In terms of multimedia functionality, Microsoft has lagged behind Sony by offering a DVD player with an optional HD-DVD drive. In their PlayStation 3 Sony opted for the newer Blu-ray format which went on to become hugely popular. 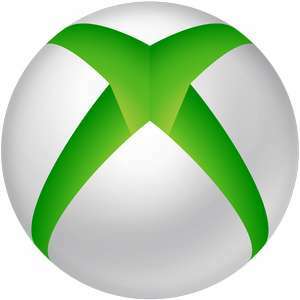 Microsoft have Xbox Live and Sony have the PlayStation Network, both let players link up with one another for games and use a variety of services that are based online, like streaming films and downloading content. However, on a PlayStation most these services are free, but Xbox Live demands its users sign up for a paid membership before offering access to its more desirable features, like free downloads and multiplayer teams. The Kinect is a motion control add-on that is placed near the TV and can sense how players are moving. It doesn’t use wands and no batteries are required. The Kinect was marketed with the phrase "You are the controller", and that’s exactly how game play feels. The PlayStation Move has a wand which enables a player to interact with the on-screen action, it offers a fun experience, but the Kinect feels smarter and more advanced in this area. Here are a few of the accessories which can be purchased to use with the Xbox 360. Xbox 360 500GB Media Hard Drive: The Xbox 360 500GB Media Hard Drive can be used to boost the storage capacity of a console. It provides players with more space to keep their films, demos and games. It’s also possible to install game discs to this hard drive which reduces the time they take to load. Installation is easy as it slots into the side of most 360 consoles. Xbox 360 Headset: The Xbox 360 headset is designed for players who want to communicate with each other online. The on-ear headphones have foam padding for added comfort and the set comes complete with a boom mounted microphone. You can use them to speak with just one person or to take part in a group chat during team games. Xbox 360 Play & Charge Kit: This kit comes in two sections, a battery pack and a cable. The battery pack can provide 25 hours of game play from a single charge. This makes it easier for players who don’t want to interrupt a game whilst they hunt around for new batteries. By pressing the guide button on the controller, you can see how much life the pack has left. If you’re running low, you can plug the cable in to the front of the Xbox to charge the battery pack whilst you play. Kinect with Kinect Adventures: Kinect with Kinect Adventures is a motion sensor device and game. The sensor is positioned just above or below the TV and picks up the movement of players as they interact with the game. There are no handheld controllers or wires, so this device offers a unique way to play. 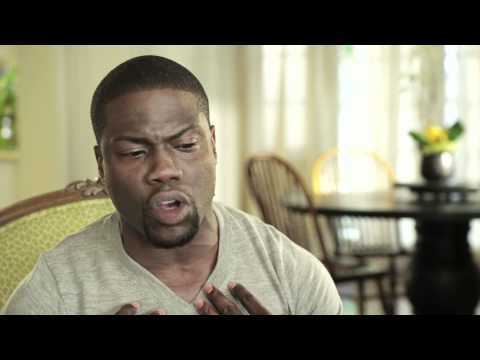 You can also use it to navigate through pages of media content and films by flicking your hand. If you are curious about which version of the Xbox 360 you own or you need to find out which product you have before getting it repaired, there are three places you can find the product reference code. The first is on the front of the console, just to the rear of the USB port. The second is at the back of the console, right above the AV port, and the third can be found by visiting the System Info screen when the console is switched on – the code will be in the Xbox Dashboard. Exclusive Xbox titles like Halo, Gears of War and Fable. Lots of downloadable games on the Xbox Live Gold service. The Hard drive is easy to upgrade. Online gaming is at no charge. Plenty of free downloads, including demos, music and trailers. Can be noisy, which may be an issue if you’re watching a film. Older consoles are inclined to overheat but this problem was resolved in later models. Geared toward serious gaming, with many titles more suited to older players. Some versions have a large converter as part of the power supply which can be awkward to tuck away. The Xbox 360 isn´t produced anymore, but some merchants still sell the games and even the console or bundles such as Argos , GAME, John Lewis and Coolshop. During seasonal sales there are often sizable reductions to be found. Argos regularly reduces its gaming collection as part of a wider promotion, as does Amazon. Many retailers also slash the prices of their home consoles during the Black Friday retail event and the January Sales. It is possible to find great discounts on Xbox 360 consoles by carefully shopping around before spending any money. On the HotUKDeals Xbox 360 page, we publish details of every discount and promotion on the console as soon as they are reported by our community.